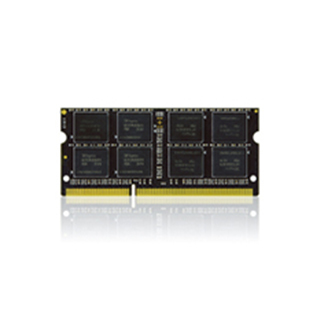 Products – Memory – Elite SO-DIMM DDR3 – Team Research Inc.
Notebook computer (NB) applications are getting popular in either work or life in addition to commercial application, in which every person has a NB. In response to trend, Team Group Inc. provides Team Elite DDR3 family , a new extension selection with excellent price/performance. The SO-DIMM product in Team Elite family of Team Group Inc. is designed to comply with JEDEC international standard, selects high quality ICs, and pass 100% strict test with excellent quality, outstanding performance. It is of both stability and compliance as the optimal choice of NB user.